Traffic chaos could be expected in the Pretoria CBD for the next three months as construction will see the closure of parts of Paul Kruger Street for the next three months. Only tenants of buildings with underground parking would be granted access to their associated parking. Rapid bus transit contractors will resurface the road and extend sidewalks between Nana Sita street and Pretorius street. Construction work would start on 1 February and was expected to be completed by the end of April. Motorists could use either Nana Sita Street and Francis Baard Street or Lilian Ngoyi Street to exit the city towards Pretoria North, or opt for Nana Sita Street and use either Bosman Street or Lilian Ngoyi Street to exit the city towards Pretoria North. 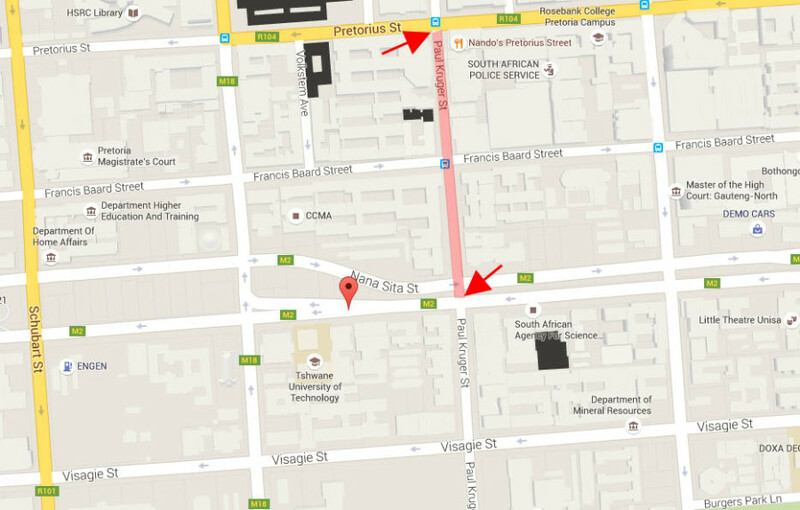 Motorists could use either Bosman Street or Lilian Ngoyi Street to exit the city towards Pretoria North. Motorists are urged to drive within the indicated speed limit and to be alert to construction vehicles that will be travelling on the surrounding roads.